Artists at the Pratt Fine Arts Center in Seattle use a portrait of an indigenous woman on the base of their glass sculpture. 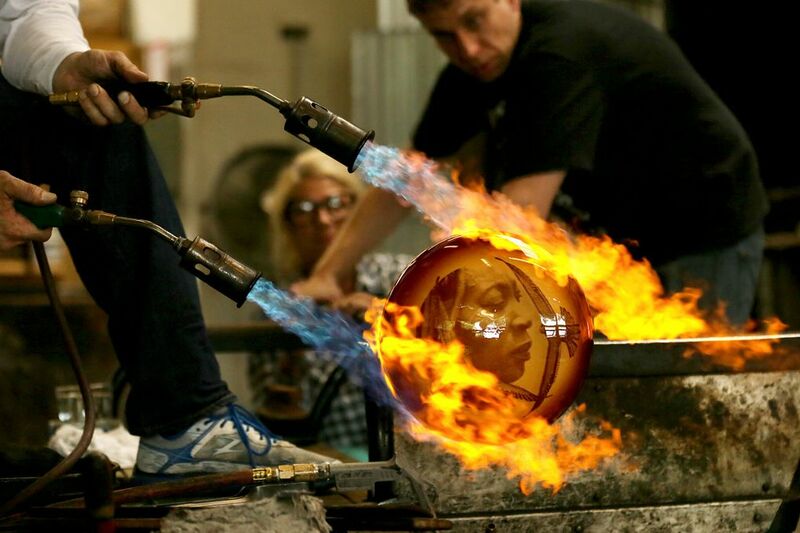 Pohlman, who has been collaborating with Knowles for 23 years, said they use a screen printing technique and fire glass enamels to make the image appear on the base of the glass sculpture. The portrait is of a woman from the Himba culture, an indigenous nomadic culture in Northern Namibia and Southern Angola.